Wear these face shields to protect your face and eyes from safety hazards without compromising your vision. They attach to headgear, also called the frame or suspension, and should be centered with the headgear positioned slightly above your eyebrows so that the shield extends from your eyebrows to below your chin. Compatible safety glasses or goggles may be worn behind face shields for extra protection against impacts. 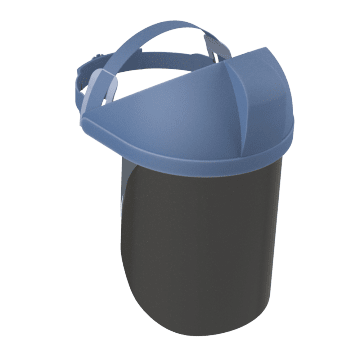 Suitable for a range of everyday tasks, these general purpose face shields guard your face from splashes and impacts. 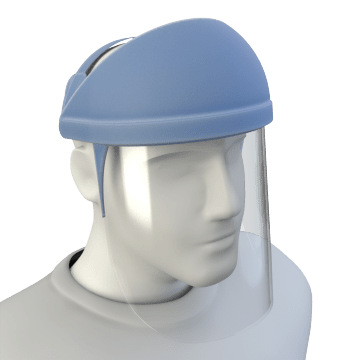 Get the ideal face protection for your task by selecting a window and headgear to build your own face shield. Choose from a variety of headgear styles and window materials, colors, and coatings to suit your needs. To ensure compatibility, match headgear and windows from the same manufacturer. 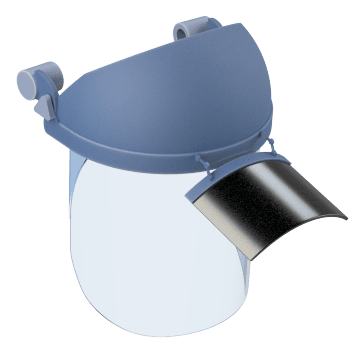 More versatile than general-use face shields, these 2-in-1 face shields have a clear window that protects the face from impact and a flip-up shaded window that can be lowered to shield eyes from glare and infrared radiation and flipped up when not in use. Use them for cutting, grinding, brazing, plasma cutting, and some welding applications. 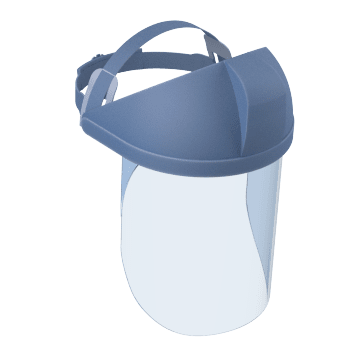 Minimize the risk of cross contamination with these disposable face shields. A common choice for medical, dental, and lab settings, these light-duty face shields block splashes and light debris. They do not provide impact protection. 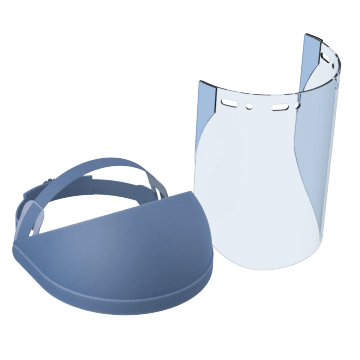 Put on these shaded face shields to protect your eyes from glare and UV and IR radiation during brazing, cutting, grinding, and light-duty welding tasks. They also block debris and withstand mild impacts. 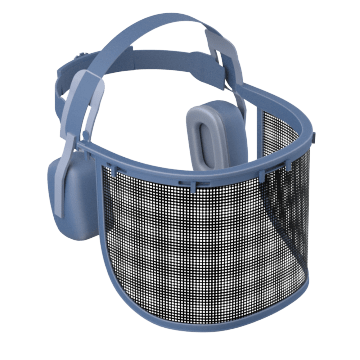 Stay cool and keep your face protected while working outdoors by wearing these mesh face shields. 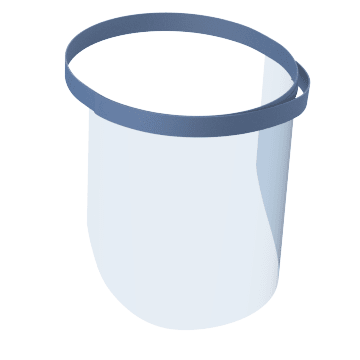 Typically used for logging and landscaping tasks, the mesh blocks flying debris such as wood chips and grass clippings while allowing air to flow through the face shield. These face shields do not protect against liquid splashes.